The CBD Store's CBD Drops are made from CO2 extracted industrial hemp resin (cannabis sativa L.) suspended in olive oil, or hemp seed oil. 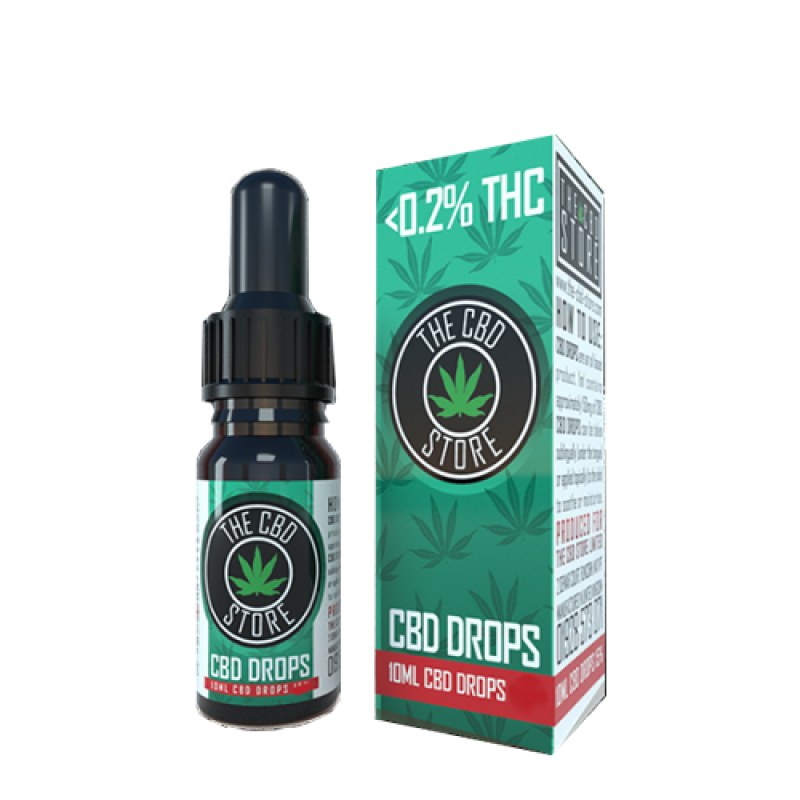 The process preserves all other cannabinoids, terpenes, flavanoids and nutrients. These drops are an oil based product. They can be taken sublingually (under the tongue) or topically (to the skin). As they are fast acting you should feel the effect in 5-10 minutes after using. 1 bottle contains 10 equal doses of 1ml. Product does not contain any parabens, artificial dyes, scents and is free from toxins and heavy metals.